Sometimes watching TiVo, the company, is like watching someone play pin-the-tail-on-the-donkey. They keep getting so close , and then missing completely, oftentimes colliding with a brick wall. Today the company's announced a slew of new initiatives that combine the power of broadband and video. How compelling are they? Well, of the announcements, only one is a deal with an existing content provider, CBS, and the video that will be available via that arrangement seems to be also-ran material from CBS's online innertube service, rather than, say, the TV shows broadcast on the network. 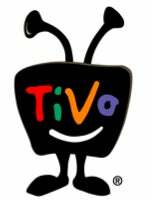 Of the other features that TiVo hopes to roll out next year, there's a service that will let you share home movies with family around the country; you'll have to upload your videos to TiVo's partner, One True Media, and then your friends and family around the country will be able to watch them via their TiVo. You'll also be able to watch videos from the web (read: YouTube, Google Video, etc.) on your TiVo, with the TiVo Desktop Plus 2.4 software ($24.95; only available on XP). Finally, they've announced a partnership with agency ICM to provide program recommendations by celebrity "experts" under the Celebrity Guru Guide moniker. Great . All of these services will require at least a TiVo Series 2. I don't own a TiVo yet, and none of these announcements are about to compel me to buy one. I'll be holding out for the iTV.